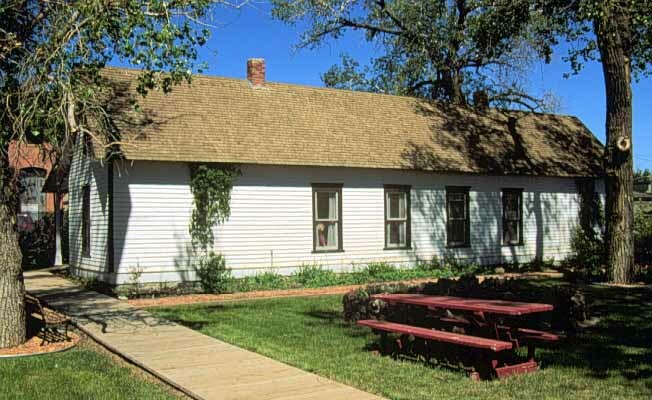 The town and county of Wibaux are both named for Pierre Wibaux, who as a young man of 25 gave up opportunities in his family's textile business in France to seek his fortune in the American northwest. The Pierre Wibaux Museum is housed in Pierre's office building which he and Henry Boice built in 1892. Several antiques which belonged to Pierre and his wife Mary Ellen (Cooper) Wibaux are housed in the museum along with items from early day settlers in this area. Pierre was the world's largest cattle rancher in the late 1800's. A story of Pierre and his life is available and told during the tour of the Museum Complex. 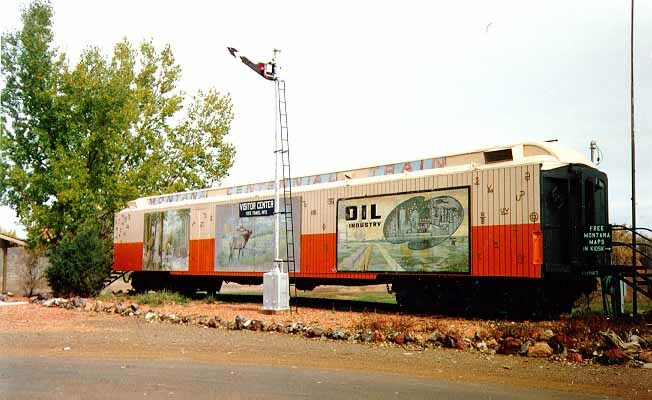 A Montana Centennial Train Car which went to the World's Fair in New York in 1964, an antique barber shop and a livery stable make up the Museum Complex. Enjoy the historic walking tour of the Wibaux Business District, Old St. Peter's Catholic Church built in 1895 and the Pierre Wibaux Statue. Step into the Wibaux Park surrounding the complex and discover a carefully crafted oasis. Pierre brought his French gardener with him to tend to his gardens of Cottonwoods and flowers. Stately cottonwood trees wave in the breeze, softly scented lilacs bloom in the spring, pink Poppies, bright Holly Hocks and yellow Snap Dragons flash color in the summertime while bright golds and reds await you in the autumn. The garden includes a grotto crafted of native rocks like agate, petrified wood and lava. In the grotto, surrounded by flowers of red, yellow, blue and purple stands a fountain of a graceful Grecian-like woman collecting water, her infants sitting astride her hip and at her feet. We invite you to listen to the trickling fountain, walk along the banks of the Beaver Creek, or enjoy a picnic lunch on our grounds. 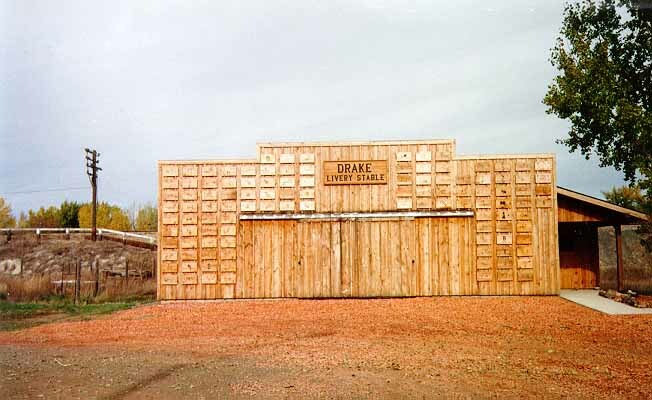 Wibaux Museum Complex is located in downtown Wibaux at 112 East Orgain Ave. Wibaux is five miles west of the Montana-North Dakota border on Interstate 94. The Museum is located 1 block off Highway 7 in downtown Wibaux. The Pierre Wibaux Statue is located 6 blocks west of museum on Orgain Ave. The St. Peter's Catholic Church which was built in 1895 is located 3 blocks west of museum on Orgain Ave. A shady picnic area, clean restrooms, makes the Wibaux Museum Complex a good place to relax and enjoy.